Journal entry 4 for Figure and Motion. 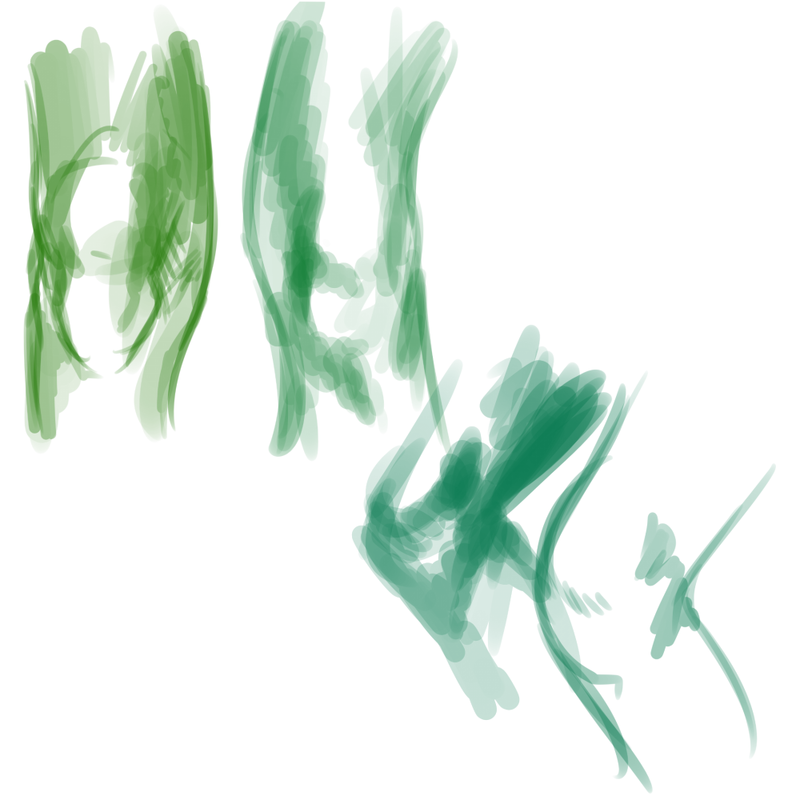 Research: Once again, I chose not to follow a tutorial, but to study a part of the body. 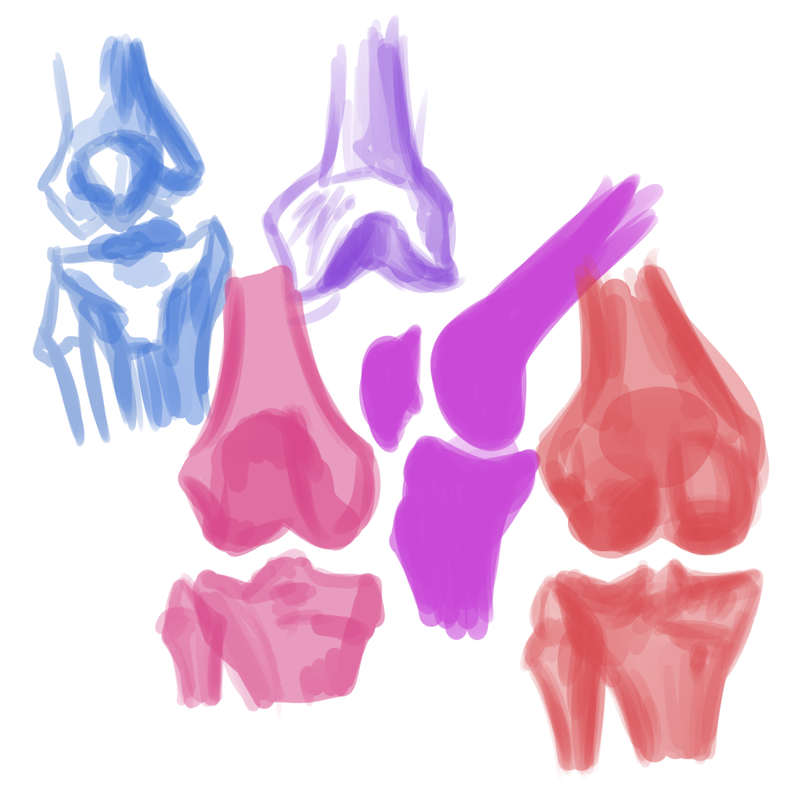 This week, I chose to study knees. 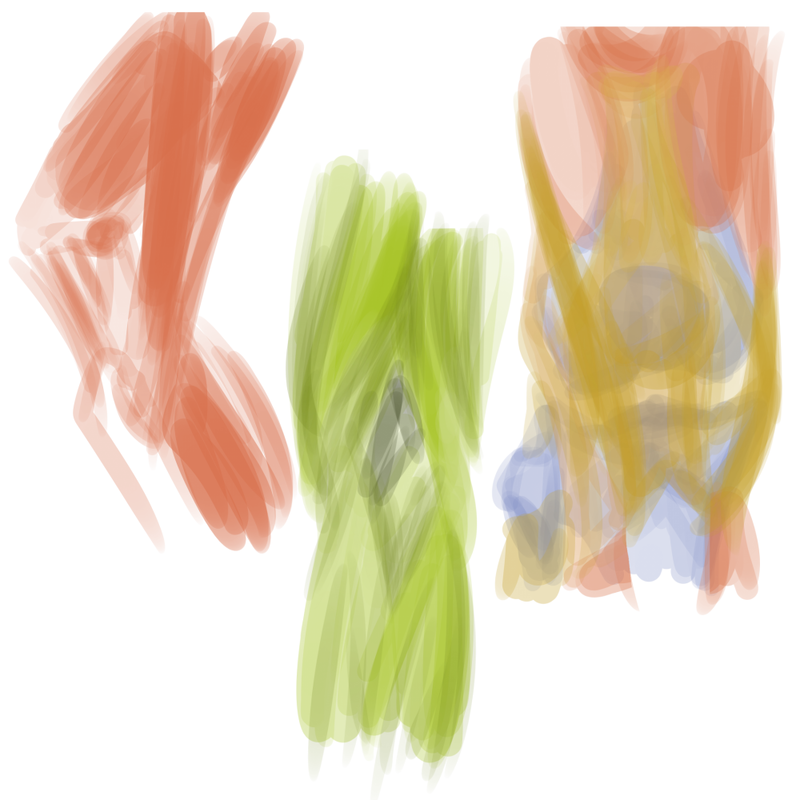 As there are not a variety of poses the knee can attain, I did not perform the study as I did with feet, but rather studied its makeup- the bone structure, muscles, and finally the whole thing. 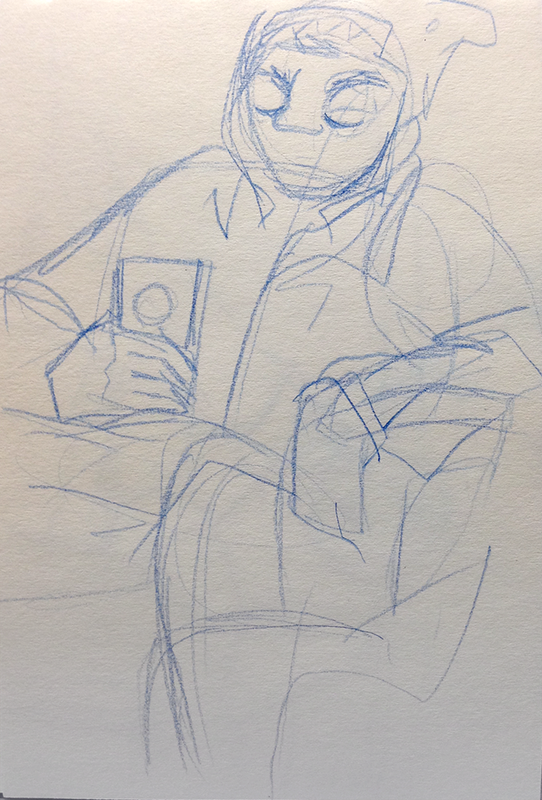 People drawings: This week was drawn in my sketchpad with blue mechanical lead. 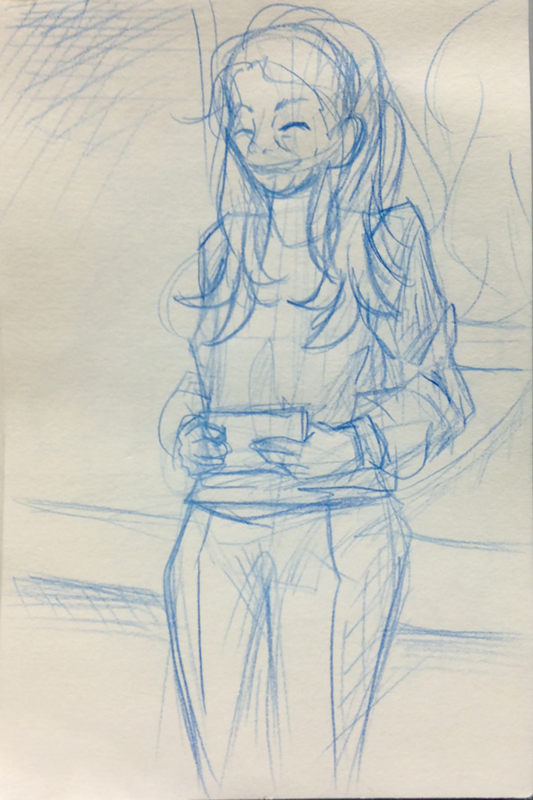 Chapter 6 was, conveniently enough, dedicated to the six steps any artist will go through to create something. McCloud began the chapter by offering his personal definition of art: anything that doesn’t have roots in reproduction or survival. He says that the purpose of a piece is what the artist wanted to accomplish with it, and moves into the six steps. Idea, which is the content of the work, form, or the medium, idiom, the piece’s genre, structure, how the piece will be composed, craft, the actual work put into the piece, and surface, which includes the finishing touches. Those who put work into all six categories will generally do better than those who only look at the surface. Chapter 7 was the only chapter in the book that contained color, as that was its topic. McCloud talked about how color increased newspaper sales, but also upped their production cost significantly. Then he spoke of the content color can add- emotion, depth, sensation, and environment can all be added via color. He finishes the chapter by stating there are some things that lines cannot express but color can, and vice-versa. 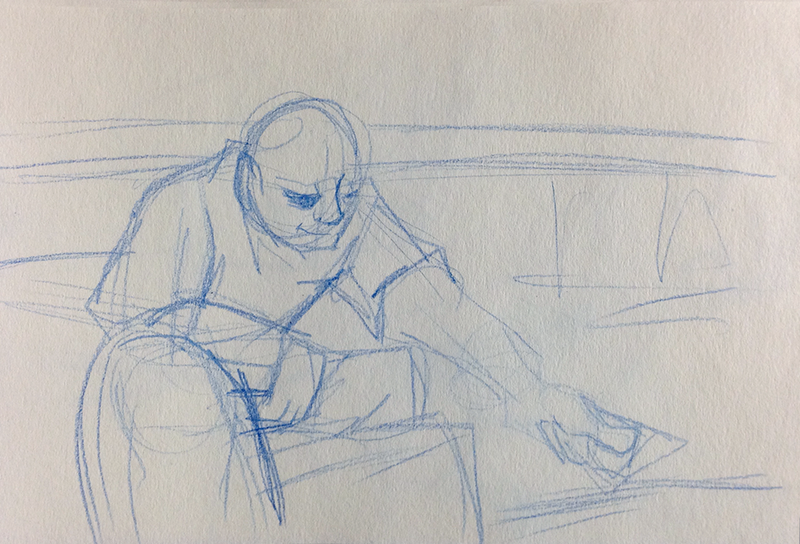 This entry was posted in Non Time-Based and tagged Blue Lead, Digital Art, Figure and Motion, Journal, Week 4. Bookmark the permalink.